I'm trying to use the "Clawbot Deluxe" with my kids but I can't find it in the Standard Model Configuration with User Defined Names, how do I select it? 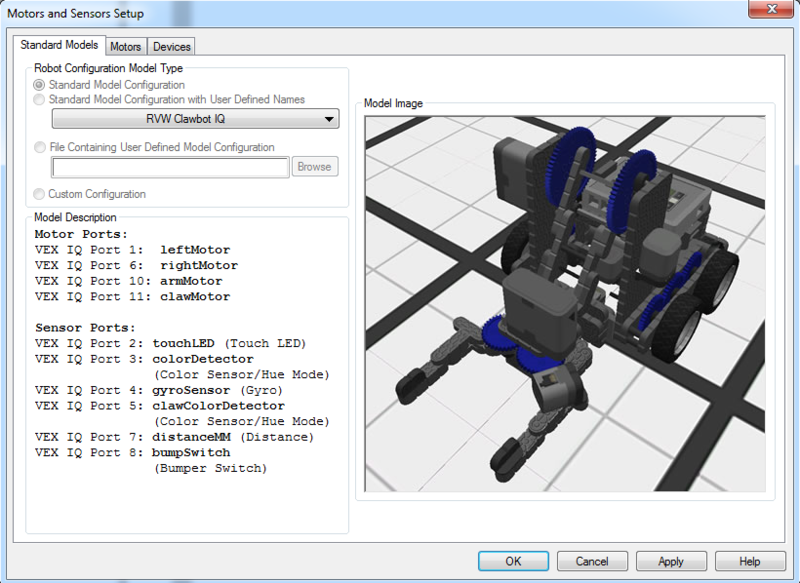 The RVW Clawbot IQ Standard model is the one you want to use for the Clawbot Deluxe. If you have any other questions about this model/Sensor Configuration please let me know.